State Department accuses Russia of developing destabilizing nuclear weapons in violation of its treaty obligations. 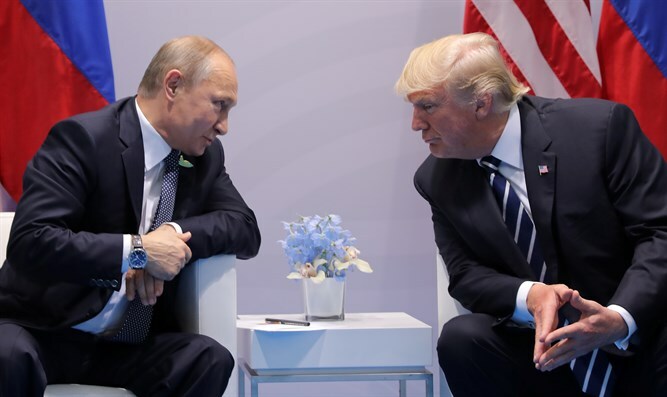 The U.S. State Department on Thursday accused Russia of developing destabilizing nuclear weapons in violation of its treaty obligations, after Russian President Vladimir Putin unveiled a new array of nuclear weapons. State Department spokeswoman Heather Nauert said Putin's speech showed Russia had violated its obligations under the Intermediate-Range Nuclear Forces treaty, reported Reuters. She also criticized an animated video played during his remarks, saying it appeared to depict an attack on the United States. "It was certainly unfortunate to have watched the video animation that depicted a nuclear attack on the United States," Nauert told a news briefing. "We don't regard that as the behavior of a responsible international player." Putin had earlier revealed in a speech that his country had tested new nuclear weapons at the end of 2017.